← Who Should Host SNL? The Patriots beat the New York Giants 17-12 in last night’s preseason finale, and that means the preseason is finally over. We are now just over a week away from real, meaningful Patriots football! It also means that we’re just a day away from final roster cuts, which need to be decided upon by this Saturday. But rather than bog you down with yet another “Patriots 53-Man Final Roster Projection” – seriously, there are already a million and one out there from pretty much every Boston-based sports website or blog – I’m instead going to highlight three of the top remaining questions/issues that need to be resolved either before the end of the weekend or before the team squares off with Houston on September 9.
Who Has the Final Running Back Spot? Four running backs may be enough for some teams, but the Pats usually carry at least five, and they will especially need to carry extra bodies this year with the injury concerns at the position. At this point, it comes down to two guys: Jeremy Hill and Mike Gillislee, both of whom are similar big-bodied, goal-line-type backs who would likely be expected share most of the ball-carrying duties with Burkhead until Michel is ready to go. Most expected to see the two battle it out in last night’s preseason finale, but, for some reason, neither of them played, which leads me to believe the decision has already been made. They have both played somewhat well so far this preseason, but Hill has looked slightly better. Not only is he averaging over a yard more per carry, but it also just seems like he’s passed the eyeball test more than Gillislee. And above all, Gillislee lost his grip on the starting job last season before being benched entirely for the rest of the year, and he’s really done nothing to prove he deserves it back. Will The Pats Make a Trade for a Receiver? We here at The 300s, along with pretty much everyone else in the world, have made no secret of the Pats dearth of options at wide receiver. It’s not for lack of effort on Bill’s part: Jordan Matthews was signed and then released due to injury; Eric Decker was signed and retired because he’s not good at football anymore; Kenny Britt, who was signed toward the end of last season, was cut this week after never overcoming a hamstring injury from June; Malcolm Mitchell was expected to be a key part of the group after an impressive rookie year in 2016 but couldn’t get over previous injuries and was released as well. Guys like Phillip Dorsett and Cordarrelle Patterson have looked solid, and we know Chris Hogan will be the team’s leader at the position this year until Julian Edelman returns. But TB12 still needs some help. Last Saturday, ESPN Boston’s Mike Reiss floated out a possible trade scenario on his personal Word Press account, wherein the Pats would trade defensive tackle Malcolm Brown and linebacker Elandon Roberts – two players at positions in which the team has at least some depth – in exchange for Golden Tate, who has had four-straight 90-plus-catch seasons out in Detroit. Why? 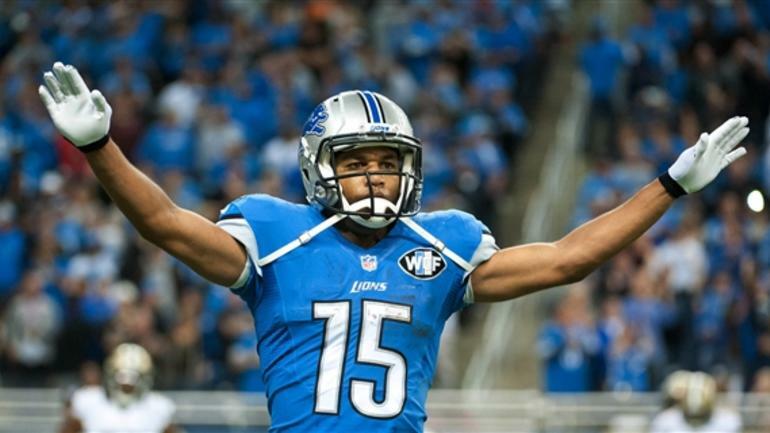 The Lions are currently stacked at wide receiver AND Tate is in the final year of his contract. This is also the time of year where teams try to trade away assets they know they won’t be able to keep long term as they try to make room for others on the upcoming season’s squad. Again, this is just speculation by one sports writer, but sign me up! Seriously, Bill, make it happen! There are also still some free agents the team could look at, but at this point if they’ve yet to be brought in for a workout I highly doubt the team is interested. (Dez isn’t happening, people! And it’s a good thing!) But unless the Pats really like someone such as Tate or another perfect fit some team may be willing to trade, they’re likely rolling into the season with what they currently have. Will Team Chemistry Actually Be an Issue This Year? This one doesn’t have to do with any particular position on the field, but anyone with a pulse can tell that things haven’t been quite so cheery over at Patriot Place since the end of last season – and it’s not because of the team’s heartbreaking loss in the Super Bowl. Leading up to training camp, most of the chatter surrounding the Pats sounded like it was coming straight from TMZ. From Brady still being upset about his trainer/best buddy Alex Guerrero’s banishment from team activities to Gronk just not “having fun” anymore and how “mean” Bill is, it was all anyone seemed to talk about. Initially, I disregarded it as nonsense, but oftentimes when there’s smoke there’s fire. It really does seem as though there’s a palpable tension in the air with everyone in Foxborough this season, and we could be seeing the breakup of the Brady Bunch sooner than we think. The team also looked very lackluster in the preseason dress rehearsal against Carolina. Brady has also shown visible signs of frustration throughout the offseason, and all summer it’s been reported by various sources that he does not seem to be as in sync with his team as in years past. Tommy Boy doesn’t seem too happy lately. After my “sky is falling” article about Michel yesterday, a lot of people might think I’m being a bit too negative about the team’s prospects for 2018. I get it. But, look, I’m not saying the Pats are going to fall off a cliff this year; they’re still loaded and likely will be one of the top teams in the entire league, let alone the AFC. There’s a very good chance they could still win the next Lombardi Trophy. But things could get dicey at times this year, and the flawless execution we’re used to seeing from this team may not be as apparent this time around. Only time will tell. 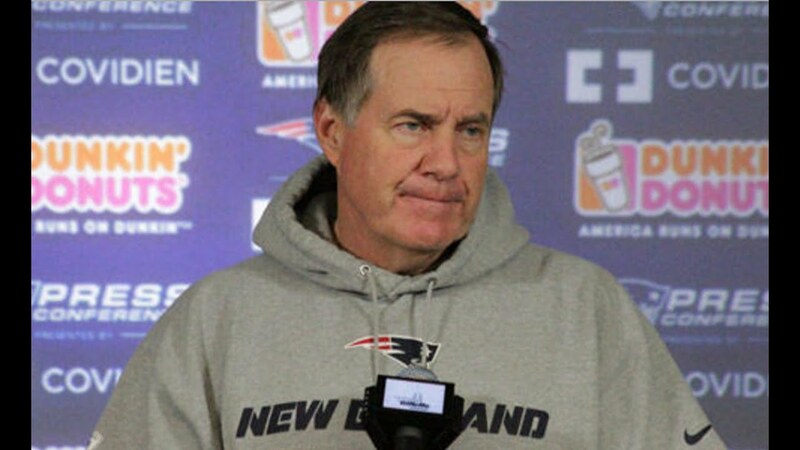 So there you have it: our final Patriots preview piece of the season. Now it’s time for the real deal! This entry was posted in NFL, Patriots and tagged New England Patriots, NFL, NFL Preseason, NFL Roster Cuts, Patriots, Patriots Roster Cuts, Patriots Running Backs, Patriots Wide Receivers, Training Camp. Bookmark the permalink.